Helgesen is a Norwegian diplomat and politician for the Conservative party. Former Minister of Climate and Environment, Minister of European Affairs. 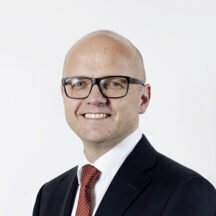 In 2018 Helgesen has been appointed Norway’s Special Envoy to the High-level Panel on Building a Sustainable Ocean Economy. The Panel was launched by Prime Minister Solberg and Mr Helgesen will be responsible for coordinating Norway’s efforts in this area.